This was extremely easy. I think the Chrome team made the right decision to build their extension model on the web page model. Now any web developer can start writing Chrome extensions without having to leave their comfort zone. Let me end this post with two disclaimers: While I do work for Google as a software engineer, my work is not related to Chrome at all. My interest for writing Chrome extensions is purely private. Also, I have not written any large Chrome extensions. So, it's easily possible that you will encounter problems when using jQuery in a complex use case. YMMV. 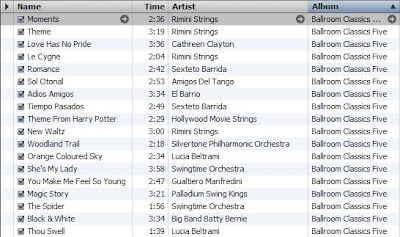 This is the continuation of a short series of blog postings about how I tag my MP3 files. Today I'll share my experience in displaying cover art in various media players. I am using two portable players: An Android phone and an iPhone. 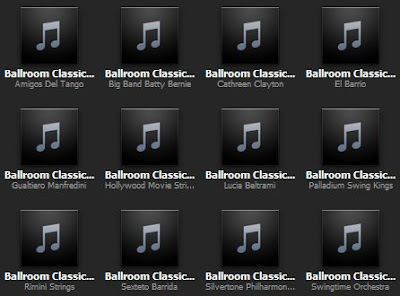 On my laptop I usually use iTunes, but sometimes I fall back to Windows Media Player because of its fast startup time. I keep MP3 files in individual folders per album, so I also want the thumbnail view of Windows explorer to show the cover art. Let's start with a short summary of what works for me: Embed cover images into the first track of every album, and additionally save them as Folder.jpg files in the album directories. See below for the long story. iTunes stores cover images in its own proprietary storage in some ITC2 format that I do't know anything about (My Documents\My Music\iTunes\Album Artwork\Download\6118F104927B998E\10\10\05\6118F104927B998E-6DBB7171FCCCC5AA.itc2). 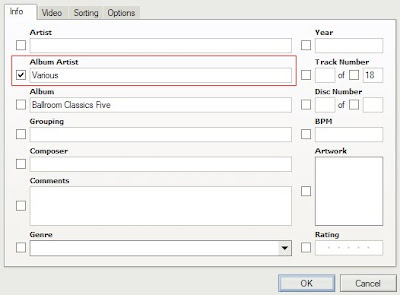 Fortunately, it also shows images that are included in the MP3 files. The iPhone seems to display whatever iTunes displays. Android also works fine with cover images embedded into the MP3 files. Windows Explorer expects cover art in Folder.jpg files. It does not show embedded images. In summary, all of my players show images that are embedded in MP3 files. It seems to be enough to embed a cover image into the first track of an album. Windows Explorer needs Folder.jpg, which is easiest to create by importing files into Windows Media Player. Caveat: Windows Media Player resizes Folder.jpg files to 200x200 pixels without asking, so don't use this file as your primary storage. I want my covers to be 600x600 pixels, which seems to be a good compromise between file size and high quality (e. g. for iTunes cover flow). Because of that I have an additional Cover.jpg file in all of my album directories. This is not needed for any player, but I like to have it there for scripts that I use, e. g. to generate listings of my files. Before you can embed cover art into an MP3 file you need to have it. Of course you can scan them yourself, but I find it much easier to use iTunes, which has many album covers in a very high quality. 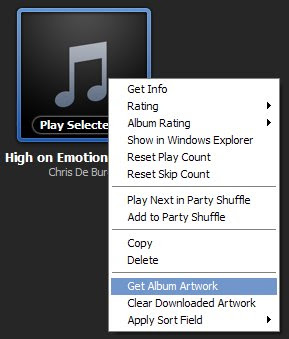 In the dialog that opens go to the "Artwork" tab, select the image and copy it with Ctrl-C or using the context menu. 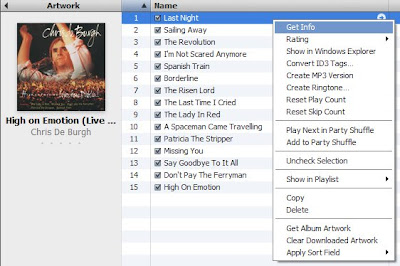 Then immediately paste it back using the context menu or Ctrl-V. Click OK and iTunes saves the image directly into the MP3 file. 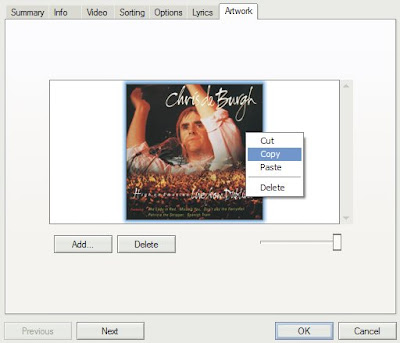 If you don't want to create Folder.jpg yourself, simply import the folder with your MP3 files (and with the embedded cover) into the Windows Media Player library. It will then generate Folder.jpg for you. Recently, I have been hacking around with Android a lot, and I think it's awesome. Unfortunately, the Android SDK does not come with source code, and sometimes the docs are not so great, yet. Being an open source project, the Android sources are available online, but they are not very easy to access from Eclipse. For one, the source files are sometimes difficult to find as they are distributed over many individual Git repositories, and then I am not always online. Integrating source files into Eclipse is usually quite easy, but the Android Eclipse plugin (ADT) does not allow to modify the Java Source Attachment of android.jar in the Android Library. Fortunately, you only have to find out what the default location for source code is. Eric Burke nicely describes how to find that out.